Thanks to a dynamic, solitary and passionate team, IMS always mobilizes more actors and stakeholders: compagnies, municipalities, associations, ministries among others. Over time, the network became a project facilitator. Presented during IMS Luxembourg' Annual General Meeting held at Société Générale on tuesday morning, the activity report serves as an overview of IMS' projects in 2017. 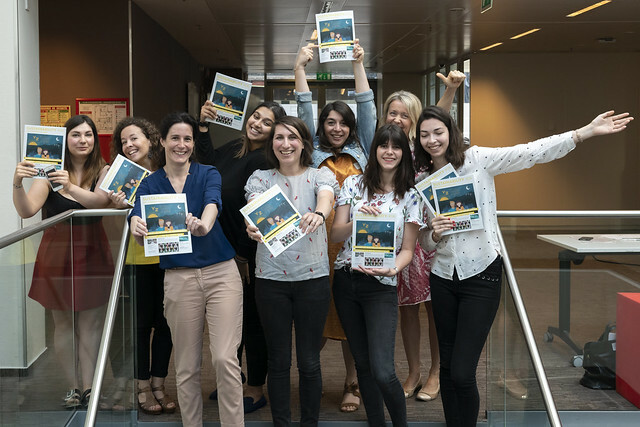 - 9 publications on several pieces and two editions of our Sustainability Mag, the first Magazine dedicated to sustainable development in Luxembourg. In 2017, we also celebrated the 10th anniversary of the network at the Luxembourg Sustainability Forum, an event that brought together more than 500 participants around 50 speakers. Climate change was at the heart of the topics discussed, including the presence of personalities such as Natasha Tsakos, Jean Jouzel and Lewis Pugh. The Annual General Meeting was also an opportunity to give our members the lastest issue of Sustainability Mag!